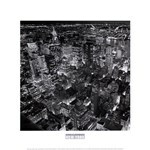 Henri Silberman (1951) is an American photographer who was born in Paris and bred in Brooklyn. 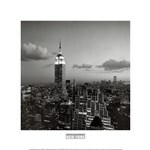 His photography is inspired by his surrounding, including cityscapes, landscapes and other natural features. Silberman is known for his high quality black and white photographs captured using different cameras for medium and large size uses. He also has several color photographs to his name. He has been making pictures of his surroundings since his high school days, ending up purchasing his first camera at the age of 16 years. The quality of his pictures improved over time, something that inspired him to invest in better quality cameras. He started getting small time photography jobs and selling some of his photos. 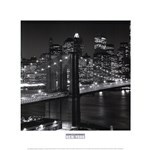 Currently, Silberman has several famous images to his name, including the Brooklyn Bridge, lower Manhattan, New York City, and World Trade Center. The quality, depth, and artistry portrayed by his photos have earned them slots to be exhibited in different galleries across the globe. Looking at a collection of Silberman’s photos also triggers some nostalgia since he’s been able to capture a lot of things around him for decades. 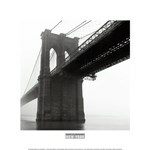 His Brooklyn Bridge image is one such image that has a lot of historical significance. The image captures the bridge, lower Manhattan with the twin 110 story World Trade Center buildings. 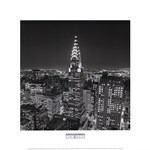 His Chrysler building photograph is also one of his most fabled pieces. Silberman is a demonstration of an individual who has stuck to what he loves doing and has been able to earn a decent living from it. Image Size: 28" x 19"
Image Size: 36" x 17"
Image Size: 47" x 36"
Image Size: 18" x 7"
Image Size: 7" x 18"
Image Size: 71" x 46"
Image Size: 45" x 69"
Image Size: 7" x 16"
Image Size: 46" x 71"